For the beauty and well-being of your face and skin, we provide solutions for following issues such as skin tightening, stretch marks, pigmentation, hairs, scars, tired look, skin imperfections, acne, coupe-rose, vascular capillaries, loss of eyebrows, repair or retouching after permanent make-up, dilated pore, very dry or wrinkled skin. We use techniques and technologies such as filler injection, lifting, chemical peeling, laser or pulsed light for permanent hair removal, permanent makeup, oncological and reconstructive dermopigmentation, radio frequency, mesotherapy, microdermabrasion, MCA. The Hydrapeel uses an adapted lotion for each client to remove impurities through a series of exfoliating motions, peels, and vacuum-assisted extractions, followed by a mega dose of super-intense hydration, lifting and recovery. We start with a deep cleansing and custom peel that works for all skin types — even sensitive. Next, we use a hydra-dermabrasion tool that gently opens up your pores and removes dead skin while painlessly extracting blackheads with an automated vacuum tip. Then a ultrasound head to help the penetration of the serum, cryo technique to cool down the skin after the intensive treatment. We follow up with the micro current and radio frequency to improve the tonicity and the production of collagen of skin. Our exclusive protocol ends with an adapted personalised facial mask with high effective actives and cover your face by LED to heal any issues that you have. Hydrapeel is designed to treat pigmentation, skin with acne and large pores, dry and dull skin, wrinkled skin. Cleaning, scrub, mask et adapted cream according the needs of the skin. C’est un soin du visage traditionnel japonais utilisant des techniques de massage ancestrales, un massage profond du visage qui a un véritable effet liftant. Le soin du visage Kobido permet de muscler son visage pour préserver sa fermeté, sa tonicité et prévenir les signes de l’âge. Il va redonner de la fermeté aux muscles du visage tout en réduisant les tensions et les crispations responsables des rides d’expression. Pendant le massage, les muscles de la peau sont pincés, roulés, torsadés…de manière dynamique mais agréable. Après une heure de massage du cou et du visage, vous avez vraiment l’impression que toute la peau de votre visage est très ferme, rebondie, et regonflée comme un vrai lifting naturel. Your skin is losing the firmness, wrinkled, you look tired. You have dark circles under the eyes, or poor circulation in general. You have a poor quality of sleep, your work is essentially intellectual and you are very concerned and anxious. Lifting 6d combines several techniques such as face massage, Japanese kobido lifting massage, face accu-stimulation with precious stones, scalp, neck and shoulders massages, Ultrasound is used to work on deep muscle tissues, and the radio-frequency for their firmness. The difference between a simple facelift and our 6d facelift is that our skincare enhances collagen production, relaxes muscles, unlocks energy nodes, regulates internal organs and tighten the skin at the same time. You lay on the table and care starts with our ultrasonic brush on the scalp, neck and shoulders. Then our serum concentrate based on Chinese herbs adapted to each skin, is applied. Kobido facelift face massage and digi-facial stimulation with precious stones is then proposed. Finally we end with ultrasound and radio frequencies to smooth and lift your face, neck and décolleté. mask adapted to each skin type. This treatment reveals skin’s radiance renewed each season. During spring-summer time to bring vitamin to the skin and during autumn-winter time to bring minerals. A real boost! This 100% manually done treatment includes deep cleansing phasis which is ideal by itself or to get prepared for a cure of intense anti-aging or hydration, to give back energy and radiance to the skin. Face radiance: 30 min deep cleansing followed by a massage and a mask. Perfect union with techniques – sensations, this treatment associates ultra-comfortable textures to high performing assets soaking the skin with a feeling of comfort and procures sensations of absolute hydration. First intensive anti-aging treatment adapted to the real age of your skin upon diagnosis of our expert beautician. A professional treatment combining technology and exclusive gestures, with a proven and lasting efficacy. A suited anti-aging program. Cure of 3 intense treatments CHF 430.- instead of CHF 480.-, 1 treatment per week for 3 weeks. The result of an innovative alliance between cosmeceutics and medical prescription. pHformula is the first pharma-cosmeceutical skin resurfacing line, which is the result of an innovative alliance between cosmeceuticals and medical prescriptions. All skin resurfacing treatment developments are based on the latest technology in regenerative medicine, and are unlike anything else that’s been introduced to the professional skincare market, giving the ideal opportunity to the skin care professional in achieving the best possible results. The founding blocks of the pHformula skin resurfacing system is based on the technology of regenerative medicine with the concept of creating controlled chemical skin resurfacing. The action of controlled chemical skin resurfacing is totally different than conventional peelings. Peelings mainly cause skin exfoliation, whereas controlled resurfacing actively provokes an accelerated form of cell regeneration in the different layers of the skin, whilst trauma and superficial irritation is reduced. With age, the wrinkles around the eyes appear. Sometimes the upper eyelid can fall giving a tired look. Treatment is done with a M.E.S.O. Roller that with tiny needles stimulate the skin around the eye. A light massage with M.E.S.O. glow solution can penetrate the active ingredients that stimulate the synthesis of elastin and collagen, while hyaluronic acid deeply hydrates the skin and the Cyto-stim complex has a lifting effect. So the skin around the eyes is lifted and fine lines are reduced. Pigmentation spots will be reduced. The production of collagen and elastin is increased. The skin is regenerated. Discover a professional treatment inspired by medical techniques * that intensively regenerate the skin. A special care must provide a response to your problem. Immediate and lasting effectiveness. So that your skin is plumped, smooth, soft, radiant … “like a new born”. Mesotherapy is a proven method that consists of dermal micro injections of active ingredients. By virtually painless injections, small quantities of various nutrients, such as medicines, vitamins, amino acids, minerals or homeopathic active ingredients, are introduced under the skin. The composition of the injections depends on the area and the problem to be treated. Mesotherapy is for all skin types. Superficial injections of active substances stimulate the microcirculation of the hypodermis and improve the metabolism of adipose tissue (lipolysis). 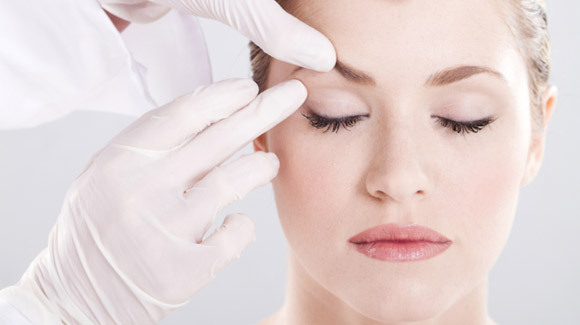 The immediate and impressive effects of mesotherapy brought considerable success in cosmetic industry. The immediate and impressive effects of mesotherapy are of considerable success. Mesotherapy is a natural and non-surgical method for the aesthetic treatment of the skin: it nourishes the latter by injecting a cocktail of nutrients and moisturizing. Targeted injection of nutrients through the skin barrier allows effective action at the desired location. Mesotherapy is a treatment with lasting effects. In Switzerland also, mesotherapy is a non-surgical treatment method that has been proven for decades. The radiofrequency consists in the generation of endogenous heat in the inner layers of the skin through the transmission of an electromagnetic field. The affected tissues develop heat in proportion to the intensity of the induced current, the resistance opposed by the tissues and the duration of treatment. In the field of aesthetics is used in the treatment of skin laxity caused by different processes of aging. Thanks to radio frequency, anti-aging effect is particularly evident at the level of the eye, face and neck, but also abdomen, inner thighs and arms are highly improved. A good candidate for radio frequency is a person who is looking for a method to firm and tonify the body and skin. Once a week between 6-12 weeks then once a month.